The medicinal benefits of honey & pollen & beeswax have been recognized since the time of the Greeks. Local honey can provide relief from seasonable allergies. Consider the logic: the bees are collecting nectar from the very plants that are making you sneeze and sniffle, and so with honey you can ingest minute amounts of the very allergen that is troubling you. 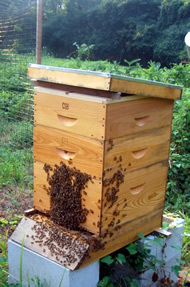 You want to be sure to use honey that has not been heat-treated as this can damage or reduce the pollen in the honey. Let it Bee Honey is completely pure and untreated. Let it Bee Local is dedicated to providing you with pure local honey. First and foremost it is delicious, but the health benefits are not to be sneezed at.